Follow our enterprise step by step, also on our Facebook group. The third edition of the aviation comics festival Bulles d'Air will take place at the Evreux air base on November 14th and 15th. More info on the festival page. All informations to be collected on the museum's page at Musée de l'Aéronautique et de l'Espace du Bourget. What's better than a restaurant table to check our test printouts ? The print looks very promissing, we'll have the books in hands in a dozen days, which leaves you 11 to pre-order your copy before full price applies. 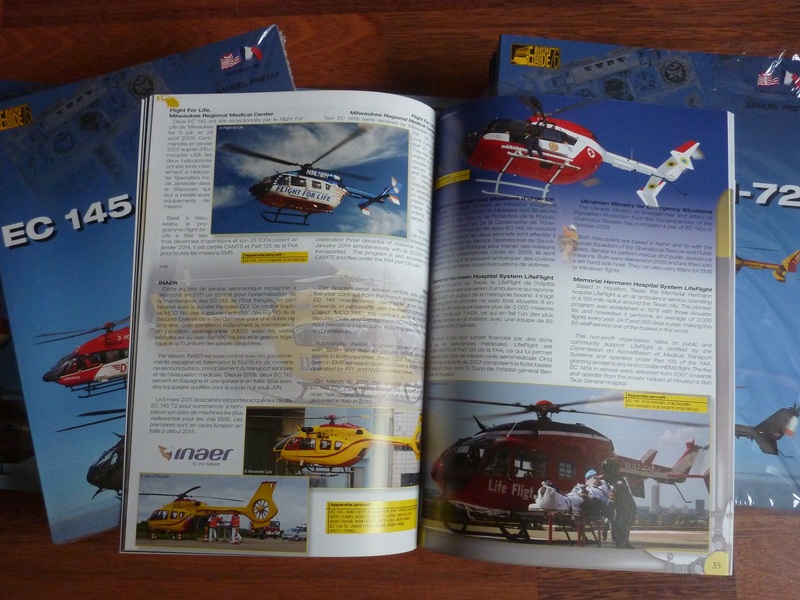 Our forthcoming book on the EC 145 and UH-72 helicopter family in now completed, with just a few corrections and proofreading to do to let you enjoy a better book. We should be able to deliver the draft to our printing company in the course of May, depending on their availability. Two news regarding this release, a good one and a bad one : The bad one is that our final price will be €27 per book, plus a contribution for shipping and handling. The good one though is that you will now have an 80-page book, 16 more than planned ! We will soon release some extracts so you can discover the layout and content, but do not hesitate to record your order before May, 31st to enjoy this special tariff of 28€ including wordwide shipping. On your marks... ready... SUBSCRIBE NOW ! Come et meet your favorite aviation comics and book authors at the new AeroBD day held near the Istres Air Base on June 7th 2015. A chance to meet and discuss with famous cartoonists, script writers and aviation writers attending this casual event.